Thanks for all the responses last week! 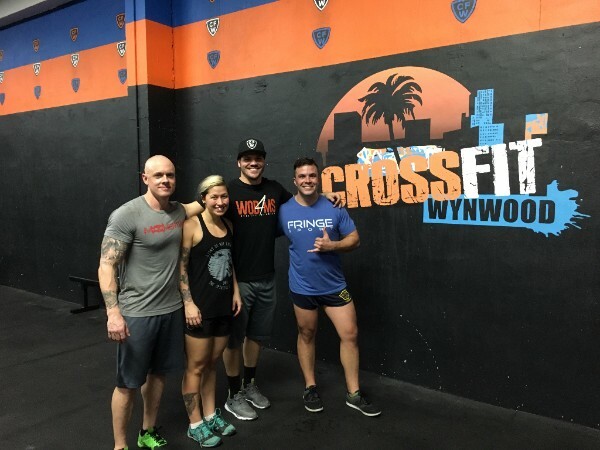 I ended up seeing some Fringers out in Miami and WODing at CrossFit Wynwood and Devil Dog Fitness. If you haven't made it out to Wodapalooza, it's well worth it. Great weather (even if there was some rain this year), great people, great beach and nightlife. "I have had a life changing experience due to CrossFit"
A number of those brands that we mentioned as being guiding lights (like GoRuck), and all of the best boxes, clearly have had a life changing effect on many of their clients/members/customers. How can we at Fringe change your life? Onto the webinar about masterminds- I'll be hosting it (probably via Google Hangout) on next Thursday 28 January at 7p CST. Reply if you want an invite. PS. We've been having lovely weather in Austin and I've been training outside with my daughters and our slamballs. I've been using the 80#, and they use the 10#. It's a pretty even match.